The Swanton Enhancement Project is sponsoring a Chili Cookoff on Monday, February 25th from 5:30 p.m. – 6:30 p.m. (just before the Town/Village 2019 Budget informational meeting @ 7 p.m.). Both will take place at the Village Complex at 120 First Street. 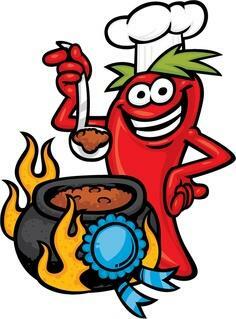 Contestants will prepare their favorite chili recipe; attendees can sample the dishes and vote on their favorite. Two winners will receive gift certificates of $100 and $50 at the end of the meeting. There is no cost for the chefs or the dinners. To enter, please email your name, contact information, and chili style & heat level to chili@swantonenhancement.org. There is a limit of 15 entries, so sign-up now! We hope you will attend to enjoy some free home cooking and to meet and mingle with other Swanton citizens. You will be making your chili at home and transporting it in your crockpot. Please arrive between 4:45 p.m. and 5:15 p.m.
Chili judging will be done by community members receiving one vote each. All decisions by the counting committee are final. Chili may be prepared any way you want it, with beans or without, with turkey, chicken, beef, vegetarian. It doesn’t even have to be chili if you would prefer to do a soup or stew. If your item is extra spicy please let us know. WINNER WILL BE ANNOUNCED AT THE END OF THE INFORMATIONAL MEETING. YOU MUST BE PRESENT TO WIN.